A baby will never take its first breath because a mother chooses to end its life. A teen laughs at the idea of waiting for marriage as an outdated idea. A adult turning their back on the faith of their parents. A family ripped apart by one person’s sin. A heart held captive by the addiction it seeks to keep secret from the world. These are the ashes we focus on so often as Christians. Those of us trying to live our lives so differently from the rest of the world look around and feel helpless to stop the wrongs around us. There is a very good reason for that: We are. Our nation, indeed the whole world, is falling apart around us, just as God said it would. We with Elijah sometimes feel as if we are the only true Christian’s left, looking out on the ashes of true Christianity. We look out at a sea of angry people and want to weep at their misguided cause, the ashes of truth at their feet. We look at the women filing into clinics around the country, and see the ashes of morality. However, we are focusing on the wrong thing. We were never meant to stare at the ashes. We aren’t supposed to live at the feet of the cross and the death of Christ, we are supposed to rejoice in the empty tomb. We aren’t supposed to sit in the ashes of our own sin, but rise and lift our eyes to something better. We are never supposed to look out at the raging sea, but to the only One who can calm it. Around us we find the ashes of much we once held dear, but now it is time to rise. It is time not to focus on the fact that abortion is legal, but on the teen down the street that needs someone to show her the love of God. Instead of battling in the capitol buildings about prayer in school, we need to start praying for the teachers, school board, and the children in school. Instead of yelling about the horrible sin, we need to weed it out of our own hearts and help those we know who are struggling with it. Should we still vote? Oh yes! Should we still cry out in the capital against such horrors? May we never cease to. 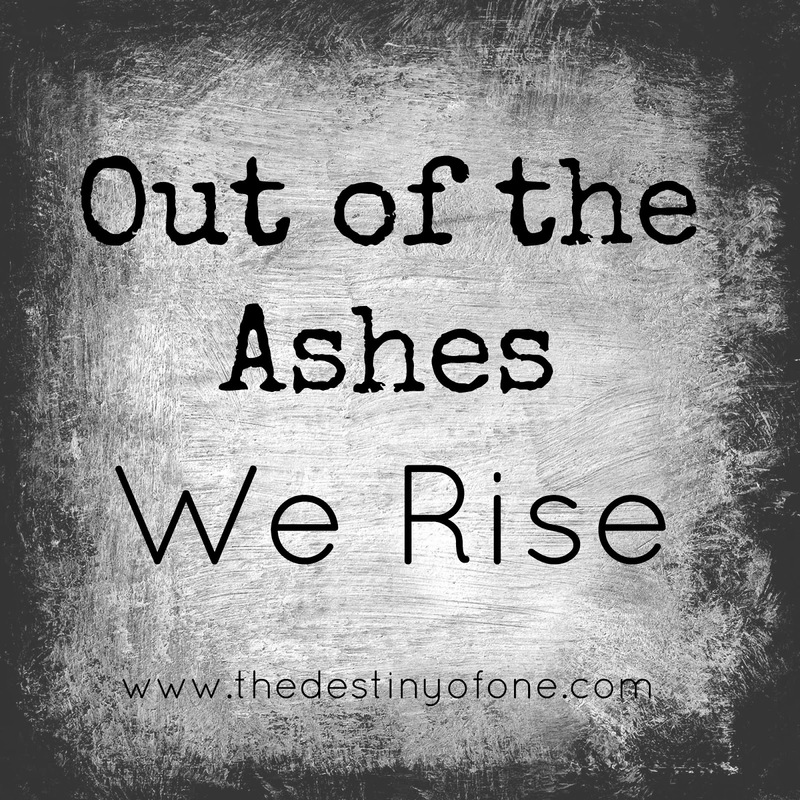 However, instead of staring at the ashes around us, let us rise. Around is we find the ash of much we once held dear, but now it is time to rise. It is time not to focus on the fact abortion is legal, but on the teen down the street that is needs someone to show her the love of God. Instead of battling in the capitol buildings about prayer in school, we need to start praying for the teachers, school board, and the children in school. Instead of yelling about the horrible sin, we need to weed it out of our own heart and help those we know who are struggling with it. You use a lot of 'insteads' in this paragraph. And here is what I want to know, if we never venture into political battles about these things, if we never work towards making abortion illegal who will? I totally agree we need to show love, pray, and recognize our own sin.But doesn't that go hand and hand with working politically? I believe they work together, whereas you have described it as dropping the court/political side of it and picking up the spiritual side of it. Both are needed, both are important. God works through prayers and answers them, but we still need to move the wheels of the government. Otherwise, we won't rise from the ashes. If you agree and I have taken this post wrong, let me know. These are merely my thoughts. You understood my post. I challenge you to look at the Bible and examine for yourself if what I say lines up with what is taught in scriptures. I just don't see in scripture where Christians (as a whole, God obviously calls some) are to fight the government. We are called to reach and change people with the love of Jesus.